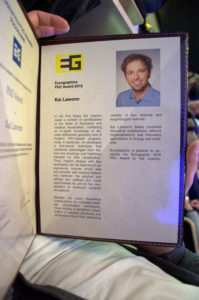 Kai Lawonn wins the Eurographics PhD award 2016! I’m reporting live from Eurographics 2016 in Lisbon, Portugal and I have got some exciting news for you! 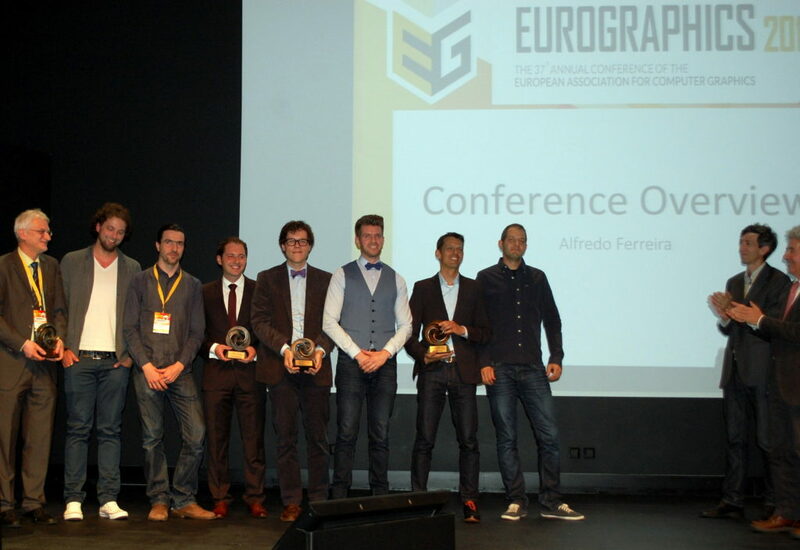 Since 2011, every year the Eurographics association awards the Best PhD Thesis Award to the theses with the highest quality and impact. The awarded researchers so far were mainly specialized in computer graphics and geometric modeling. Until now, that is, since this year, one of these highly prestigious award goes to…. Kai Lawonn! 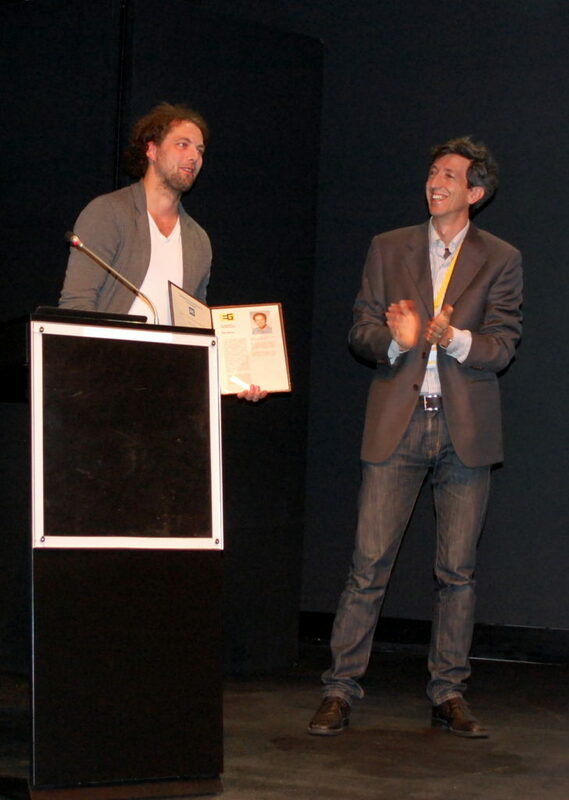 For the first time in the history of the award, a medical visualization researcher won the Eurographics PhD award! In Kai’s thesis, entitled ‘Illustrative Visualization of Medical Data Sets’, he describes several illustrative medvis techniques ranging from line drawing techniques to vessel visualizations. Congratulations, Kai, with this excellent achievement! This entry was posted in Conferences, News and tagged eurographics, kai lawonn, phd award, thesis by Noeska Smit. Bookmark the permalink. That’s really awesome, congratulations Kai! !